My children and I have been testing and sharing recipes adapted so that they follow kosher dietary laws. Originally we shared through Google Documents. We could create our recipes in document form and upload them from our files or key in documents directly into Google Documents. We started to find that friends and other family members would begin to ask us to share a recipe or two. Now, instead of making sure they were able to access our Google Docs, everyone can enjoy our recipes directly on our website: Kosher Family Cooking! We would love to see your comments and add any wonderful recipes you recommend. 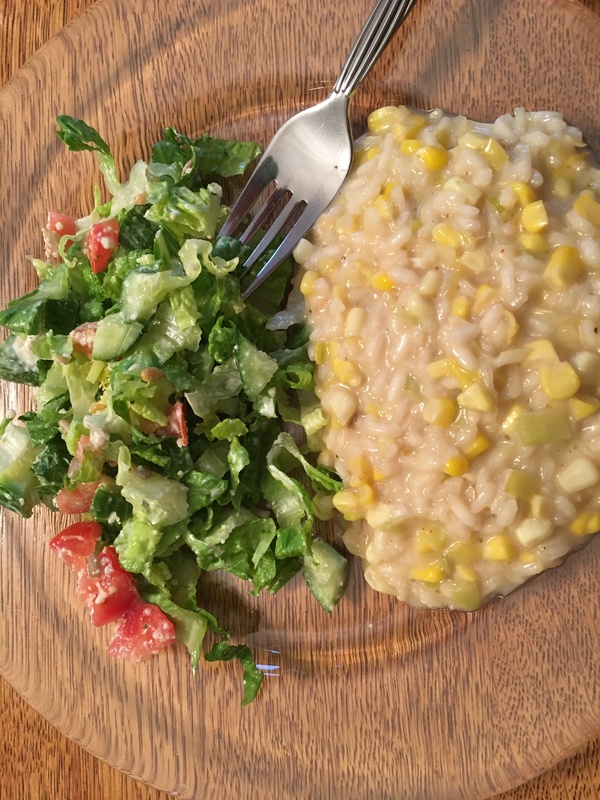 The latest addition, Corn Risotto, came from an adaptation of a cooking demonstration that I attended at the Gilda’s Club in Chicago.